Public records from the Boston Police Department reveal there are more than 900 unsolved murders in three city neighborhoods: Roxbury, Dorchester, and Mattapan. The widow of one victim whose murder remain unsolved, Mary Franklin, has started the Women Survivors of Homicide Movement to raise awareness. After a night of gun violence left three people dead in August 2015, the Boston Police Department began a series of Peace Walks through city neighborhoods. Officers gathered with clergy and community leaders on dozens of nights to walk the streets of Boston. The commissioner believes the peace walks have been successful in combating violent crime and plans to continue them in 2016. Click here to view a message from Commissioner Evans on how you can help with unsolved homicides. More than half of the 30 homicides in Boston in 2015 (as of 11/19/15) remain unsolved. No one has been charged with the crimes. Police Commissioner William Evans is asking for the public’s help to bring justice to those 18 victims and the hundreds of other victims of unsolved murders in the city. If you have information about an unsolved homicide, contact the Boston Police Department Homicide Unit at (617) 343-4470. If you prefer to remain anonymous, you can call the CrimeStoppers Tip Line at (800) 494-TIPS, or text the word ‘TIP’ to CRIME (27463). Suffolk County District Attorney Dan Conley is appealing to the public for information about unsolved homicides in Boston. Boston Mayor Marty Walsh has signed an ordinance banning replica handguns in public spaces throughout the city. Officials believe the measure will save lives since residents and even police officers find it difficult to differentiate a real firearm from a toy gun. 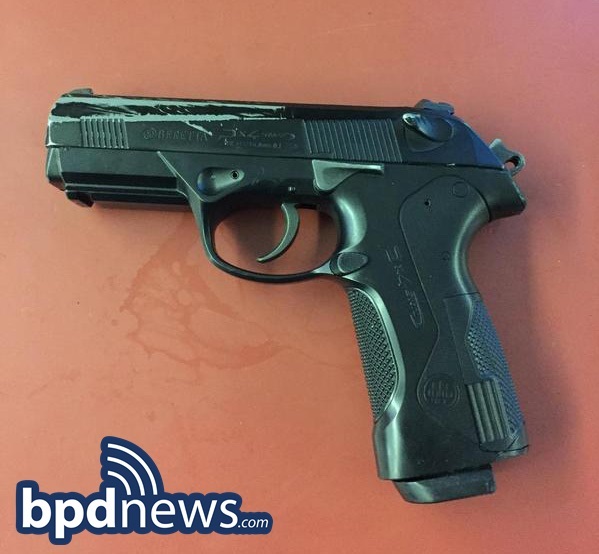 The ordinance, signed Monday, Nov. 9, takes effect immediately and is an attempt to raise awareness of the dangers that replica handguns have on Boston’s youth. One factor that is important to note is that imitation firearms are not simply used as toys. 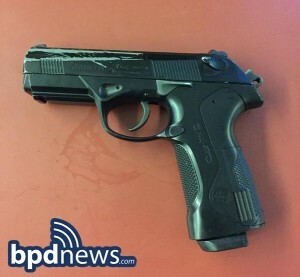 To date, the Boson Police Department has confiscated more than 150 of these replica firearms in connection with crimes. Mayor Walsh, whose office expresses an adamant devotion to ”providing safe and secure neighborhoods where every resident can thrive,” echoed Commissioner Evans’ sentiments after signing the ordinance on Monday. Boston Police are investigating the death of a man shot and killed just after midnight Tuesday on Shepton Street in Dorchester. At around 12:15 a.m. police responded to 15 Shepton St. for a report of shots fired in the area. Officers found a man suffering from multiple gunshot wounds and he was pronounced dead at the scene. Police reportedly recovered eight shell casings from the scene. The victim was a 21-year-old black man, according to Boston Police Commissioner William Evans. He is known to police and had a violent criminal record, Evans said. Police are actively investigating the case and ask anyone with information to call detectives at 617-343-4470. People can leave anonymous tips on the CrimeStoppers Tip Line at 1-800-494-TIPS, or texting the word ‘TIP’ to CRIME (27643). The 1993 murder of 15-year-old Louis D. Brown inspired his mother to start the Louis D. Brown Peace Institute the following year. The message of Homicide Watch is simple: Mark every death. Remember every victim. Follow every case. What started in Washington, DC, has now moved to other cities across the country including Boston. Homicide Watch Boston is a partnership with Northeastern University where student journalists work to shed light on the people and stories that might not otherwise receive news coverage. This video features Homicide Watch Co-Founder Chris Amico along with Dina Kraft, the associate coordinator of the Media Innovation program at Northeastern’s School of Journalism. This is the story of Clarissa Turner, a mother in mourning whose 24-year-old son Marquis was murdered in 2011. Marquis was shot in the back of the head and found lying on a street in Boston. “My tomorrow never came,” Turner said. Through her own grief, Clarissa discovered a way to help other families cope with the tragedy of homicide. She founded Legacy Lives On, a support group for parents and other family members who have lost a loved one in this horrific way. The group focuses on bringing awareness to how families are being affected by street violence. Through Legacy Lives On, these families have begun to find hope, something so valuable for their journey through the grieving process. Through their sorrow, these mothers found a commonality to end the violence that runs through their neighborhoods, and joined Mothers for Justice and Equality. With the support from each other, they’re turning grief into action.